I am super thrilled to share my first post with you as part of the Paper House Productions design team! I was so very honored to have been chosen to be on the team. 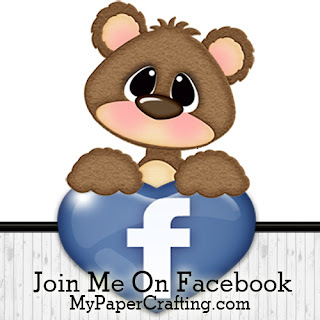 For my first task, I was assigned to work with one of the new paper crafting kits, the Baby Girl Paper Crafting Kit. This kit is perfect for creating sweet, colorful layouts for your most precious memories. Here’s a look at my Scrapbook Layout. My wonderful BFF allowed me to use a picture of her precious great-grand baby. She was the perfect model to showcase the fun products in this kit. The kit features 9 Double Sided Printed Papers, 1 12x12 Sheet of Cardstock Stickers and 1 set of 3 Dimensional Puffy Stickers! Here’s a closer look at some of the darling puffy stickers included with the kit. I just love the look and feel of these stickers. They are like the little dough boy….you just have to touch them!!! Here’s a closer look at another one of the puffy stickers. I chose to use it as a center to my little cut file flowers. Here’s a look at the little half circle I put in the corner. I combined a couple of the cardstock stickers to create the cute layers. Here’s a closer look at one of the sweet cardstock stickers. The weight of these stickers is perfect. Here’s one last look at my completed layout. I used my Pazzles and the software to create my layout. I am sharing the elements I created in my Pazzles Inspiration with everyone. Just head over to the PHP blog and get the link. The file formats are: AI, DXF, SVG, STUDIO and WPC formats. While there, PLEASE do me a favor and leave a comment letting me know you stopped by. I sure would appreciate it!! Be sure to stop by the Paper House Productions store and check out all the rest of the wonderful new collections and pick up this one too! Thank you so much for stopping by. Until the next time, Have a wonderfully crafty day! 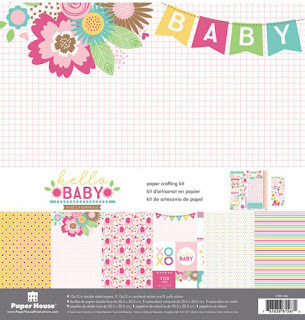 Baby Girl Paper Crafting Kit. Well that about covers it for today. This is a darling layout! Thanks for sharing!